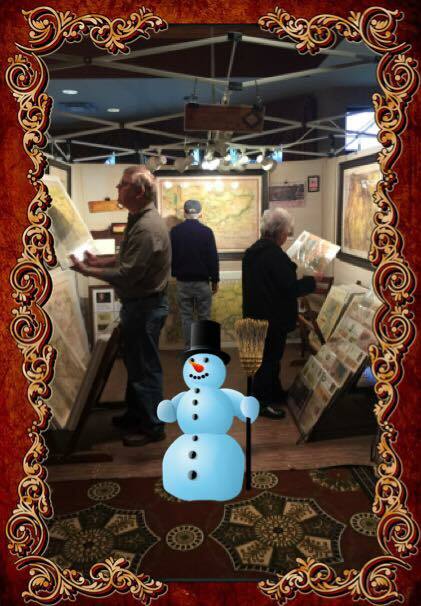 Thank you very much for your encouragement over the last few years to pursue my dreams of being an artist by attending art shows, reading my newsletter and blog, and purchasing my hand painted historic map products. It has been a joy to share this journey with you! I wish you much holiday joy this year and best wishes as we start our voyage into 2015. This entry was posted in Art at Heart Newsletters, the art life. Bookmark the permalink.